Green Scallop Tacos with a spicy green herb cucumber and avocado salsa and a squeeze of lime juice on top, so good! What makes these tacos better than just good is this amazing green herb salsa made with fresh herbs, jalapeño and little dices of cooling cucumber and avocado. 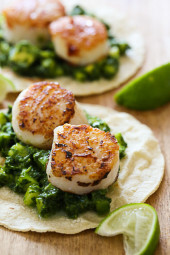 When paired with these quick sauteed scallops and a squeeze of lime juice on top you’ll probably contemplate opening up your own taco truck (or at least I did! ), they are that good! This recipe was modified from Jonas Cramby’s Tex-Mex From Scratch Cookbook. Tons of great photos and recipes like Baha Ceviche, Beer Braised Lamb Shank Tacos, Tacos Al Pastor, and more I plan on trying soon. You can certainly make them with shrimp or fish, heck even lobster if you wanted to! A few tips to making perfect scallops; dry them well with paper towels, make sure the heat is very high on your skillet so you get a good sear and only cook four at a time. And of course don’t overcook them, it shouldn’t take longer than 2 minutes on each side, maybe less. Toast the garlic and jalapeños in a dry skillet until golden. Remove from heat, peel garlic and seed the peppers. 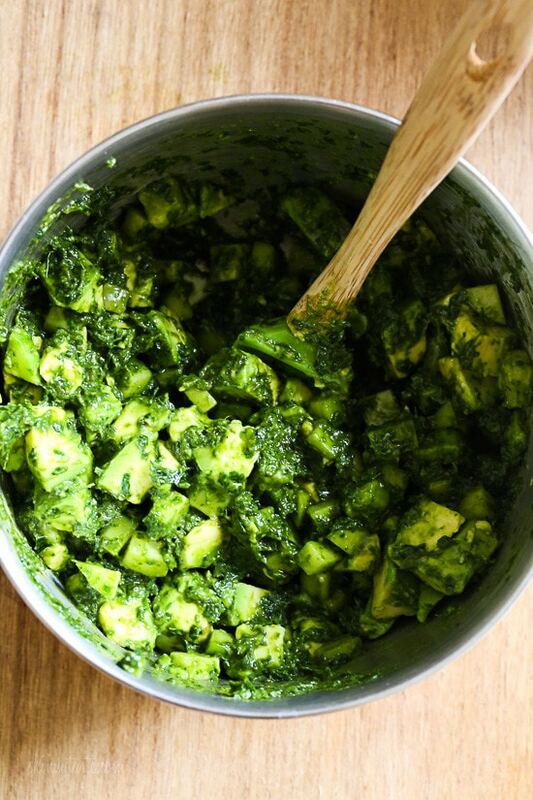 Combine with olive oil, cilantro and parsley in a small blender with just enough water to blend. 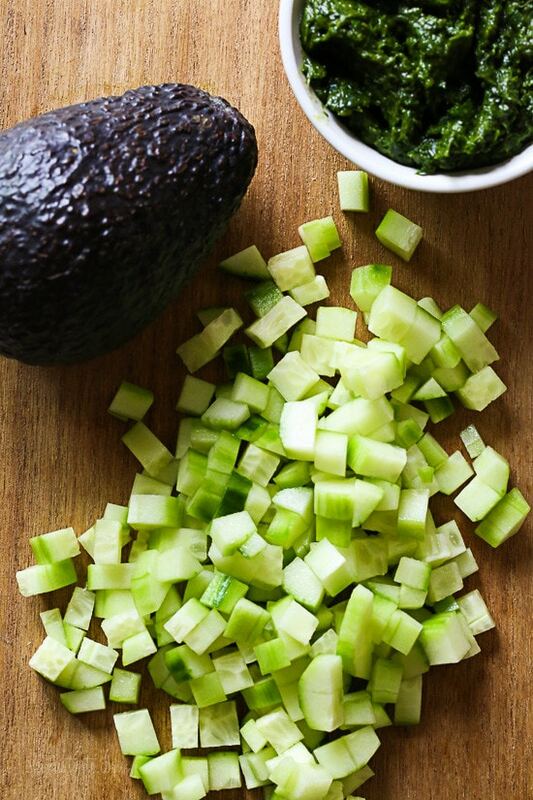 Place in a bowl and combine with diced cucumber and avocado. Pat the scallops dry with paper towels. Season with salt and pepper. Heat a medium skillet over high heat, add 1/2 teaspoon oil and cook the scallops 4 at a time for about 1 1/2 to 2 minutes on each side, or until they become caramelized and the center is – do not overcook. Set aside and repeat with the others. To serve, heat the tortillas on a separate skillet about 30 to 60 seconds on each side, top each with 1/4 cup sauce and 2 scallops. 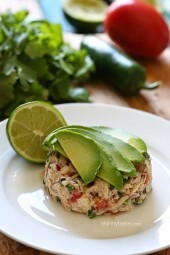 Squeeze some fresh lime juice on top and eat right away. These are ridiculously good and surprisingly filling. My sauce came out really spicy from the jalapenos. If you make this, try one jalapeno first to test the heat. Otherwise, it was delicious! These are AMAZING!! So yummy we had then twice in one week! Gina – your recipes are always the BEST!!! Thanks for helping me to keep dinners exciting! I love every recipe Gina makes. I have 2 cookbooks and have preordered the 3rd. I am a fan. This recipe was horrible. Would never make again ever. Thankfully rescued the scallops and turned into tostadas. My 1st fail recipe from Skinnytaste and I have tried at least 40. I made scrambled eggs this morning, 1 egg and 3 egg whites. I put 1/4 cup of this sauce on top and it was amazing!!! Any idea how many smart points for just the sauce?!? Thanks, Gina! Awesome, not off hand sorry! Could you save leftovers for the next day or would the avocados turn brown? Made these for Valentine’s day, and they were quick to make buy so so tasty!!! Highly recommended. This is one of my favorite recipes from you. I prefer wheat tortillas but everything else I keep the same. I serve this for company often… LOVE! Made this last night, and I loved the “Salsa,” but thought it and the corn tortillas overpowered the delicate, sweet scallops. And maybe my technique was off, but toasting the jalapeños in a dry skillet left me with four dark streaks on each side of the fruit. I ended up blistering the skin holding them with tongs over my gas burner, then skinning and seeding the now-roasted fruit. Lovely recipe, though. I’ll be using it for a stronger-flavored protein in the future. You have a great website and amazing recipes — thank you! When buying scallops, they will almost always come frozen. Look at the ingredients on the bag and make sure there is no sodium tripolyphosphates added and you will have a much better scallop experience! The baby bay scallops are perfect for tacos! How do you toast jalepenos? Made this tonight and it was super delish. 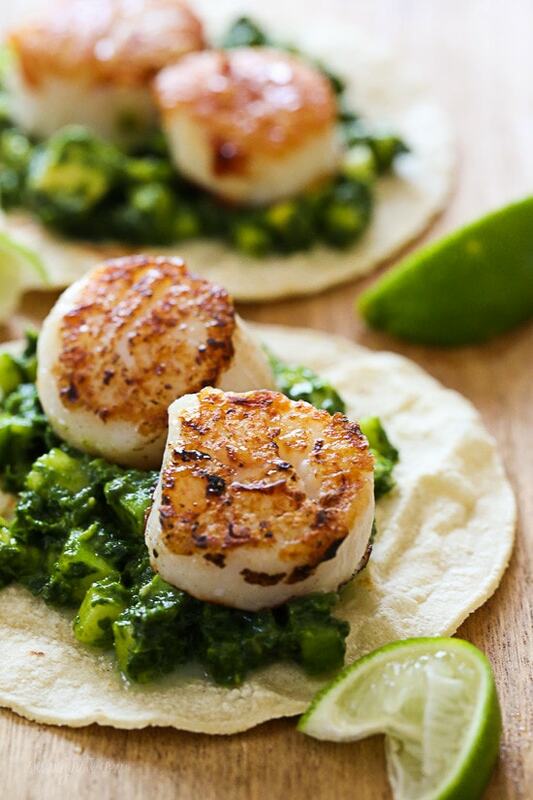 Love the texture of the scallops which are meatier than a typical fish taco. However, that salsa was amazing, fresh and brighter. Wondering how I can incorporate it into more recipes!! How gorgeously delicious does this look Nancy! I wish I could taste this now! This is on my list to do! Just fired the typist as got distracted and KNOW your name is Gina! Apologies and shred the love today for you! I've never even considered cooking scallops at home, but this looks simple enough! You seem to be missing a word, though, when you're talking about cooking the scallops. It says "until they become caramelized and the center is – do not overcook." Until the center is what??? Oh, until it's opaque. Thanks for catching that! OK…this looks amazing….really don't like cilantro…can I just leave it out?? I am addicted to Skinnytaste…thanks for such a great Blog! 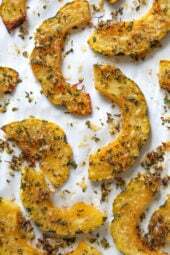 I’m also thinking of what to substitute for the cilantro (hurl). Italian parsley? Thai Basil? These look absolutely amazing. I will definitely have to try them! Absolutely love scallops! Hey Chef, LOVE YOUR BLOG!!! I'd love to get your thoughts on freezing the blended concoction of olive oil, parsley, celantro, garlic & peppers for semi-make ahead meals. Great question, not sure how it would taste though. 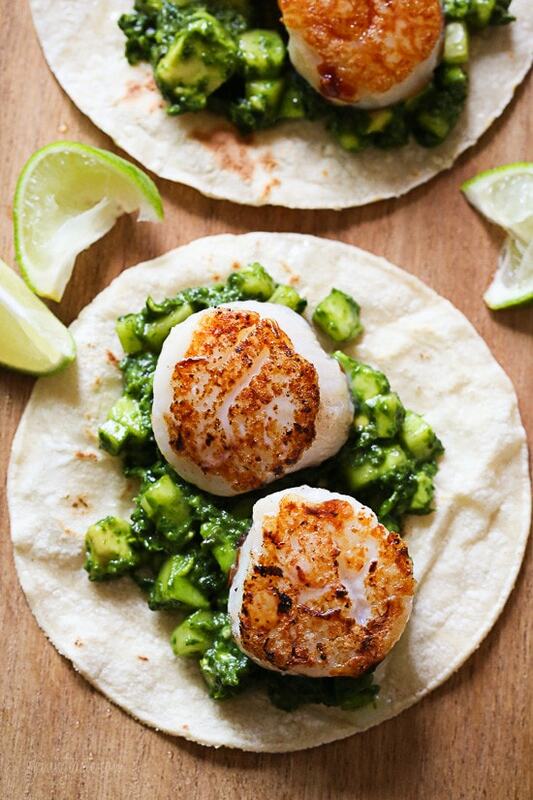 yum, definitely on my grocery list today, scallops, avocado & jalapeno! excited to make this dish, Amy! Scallop tacos!?! Yum! I would have never thought of that! Come see the delicious ragu I made! Yum! Fresh scallops tho' not really a Lake Michigan thing! lol! Thanks for sharing! Scallops would be my last meal on earth if I had to choose. What a clever way to use them! Oh those big juicy scallops are calling me, Gina! Love this idea – so delicious! That looks incredible! Love the green salsa! These look delicious! I usually don't cook scallops because I'm not too sure what to do with them, but I'm definitely adding these ingredients to my grocery list so I cna pick them up for dinner this week :). Thanks! This looks like it would work with shrimp, too. I love shrimp tacos but not a huge fan of scallops. Yum! I love fish tacos, but have never used scallops in a taco. I bet the scallop and cucumber are amazing in a taco! Looks delicious as always! I can't eat avocado, any substitution ideas?? 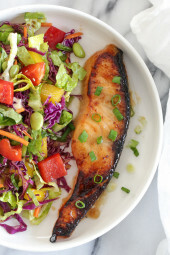 This is always an issue for me with recipes like this and they all seem so yummy! I made them last night and OMG.. they were delicious… I will be having the other 2 for lunch today. And the sauce.. OMG… LOL. It is delish to put on anything. Had it on my egg white omelet this morning. Enjoy!